We’d love your help. Let us know what’s wrong with this preview of Disraeli by Robert Blake. To ask other readers questions about Disraeli, please sign up. I was trying to choose which biography of Disraeli to read. I settled on this book by Blake as it is considered the seminal biography of Benjamin Disraeli (1804-1881). This book is well written and meticulously researched. I like having the documentation at the end of every chapter instead of it at the end of the book. Blake cover in depth Disraeli’s writing career as well as his life as a politician. 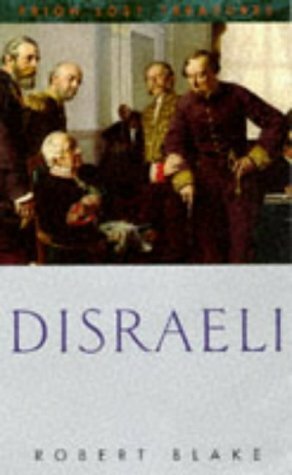 The author discussed Disraeli’s faults as well as his strengths. I think Blake did a fairly good I was trying to choose which biography of Disraeli to read. I settled on this book by Blake as it is considered the seminal biography of Benjamin Disraeli (1804-1881). This book is well written and meticulously researched. I like having the documentation at the end of every chapter instead of it at the end of the book. Blake cover in depth Disraeli’s writing career as well as his life as a politician. The author discussed Disraeli’s faults as well as his strengths. I think Blake did a fairly good job of presenting a neutral view of Disraeli. I have wanted to read about Disraeli for years because I was constantly coming across him in other biographers such as that of Queen Victoria, Peele and Gladstone. I find this period of British history most interesting. I read this as an e-book downloaded from Amazon to my Kindle app on my iPad. The book is 860 pages originally published by Faber and Fare in 1966. Blake is not too much in love with his subject, as David Cecil was with Melbourne; not too nasty/snarky, either, as Lytton Strachey was with Queen Victoria. Robert Blake's book is spectacular read, the kind of book that left me as interested in the author as in the subject. Few prime ministers in British history have been as memorable as Benjamin Disraeli. The son of a prominent literary scholar, he enjoyed success as a novelist before turning to a career in politics, Though elected to the House of Commons at a relatively late age, the split in the Conservative Party over the repeal of the Corn Laws in 1846 (a split resulting in part from Disraeli’s active campaigning against the measure) catapulted him to the front rank of the party. After several brief periods in Few prime ministers in British history have been as memorable as Benjamin Disraeli. The son of a prominent literary scholar, he enjoyed success as a novelist before turning to a career in politics, Though elected to the House of Commons at a relatively late age, the split in the Conservative Party over the repeal of the Corn Laws in 1846 (a split resulting in part from Disraeli’s active campaigning against the measure) catapulted him to the front rank of the party. After several brief periods in office during the 1850s and 1860s, he became the leader of the party in 1868 and served twice as prime minister, where he spearheaded the acquisition of the Suez Canal and won admiration for his role at the Congress of Berlin in 1878. Disraeli has not wanted for biographers, yet Robert Blake’s work has long been the standard by which they were judged. A renowned historian, his book offers an engaging and insightful look at Disraeli and his times. He presents Disraeli as a Romantic figure whose career was guided by his idolization of the monarchy and an aristocratic order that had long shunned him. While such views may have been more fitting for the political world of the 18th century rather than that of the 19th, his belief in the continuing relevance of these institutions in an increasingly democratic age eventually won the social parvenu the gratitude of the nobility and the devotion of his queen, who mourned his passing when he died in 1881. This is far more entertaining than a biography of a Victorian prime minister has any right to be, enlivened by both the subject -- Disraeli was quite the character -- and the dry wit of the writer. I am almost provoked to pick up one of Disraeli's novels, but since I've barely scratched the surface of Trollope that project may have to wait. I bought this book around 1970 and never hsd thr time to read it but now that i am retired and only working as a casual I have read it . It is a heavy book to hold up when you have OA in your C. Spine but I did it . Did you know that it weights 3 lbs ? I may put it up for sale if the price is right . If you want to understand how great prose is written, read Robert Blake. This is probably one of the best biographies ever written. The awesome scale of Lord Blake's work, as well as the meticulous research that informs it, is nothing short of intimidating. I finished this book with the feeling that few biographers will ever accomplish anything as thorough (or maybe the word I'm looking for is "rigorous" or "significant") as Blake's Disraeli. Blake approaches his subject with evident admiration, but does not fawn or tolerate revisionist, self-aggrandizing autobiograph This is probably one of the best biographies ever written. The awesome scale of Lord Blake's work, as well as the meticulous research that informs it, is nothing short of intimidating. I finished this book with the feeling that few biographers will ever accomplish anything as thorough (or maybe the word I'm looking for is "rigorous" or "significant") as Blake's Disraeli. Blake approaches his subject with evident admiration, but does not fawn or tolerate revisionist, self-aggrandizing autobiography. What really sets this work apart is Blake's willingness to take a side, share an opinion, or offer an (extremely) educated guess. As a result, readers have the privilege of becoming intimately familiar with both Disraeli's political genius and the vast intellect of his biographer. The reader will benefit from keeping Lord Blake's ideological leanings in mind (regarding Disraeli & Gladstone: "...like most men of genius operating in a parliamentary democracy, they inspired a great deal of dislike and no small degree of distrust among the bustling mediocrities who form the majority of mankind. "), yet it would be a mistake to characterize this biography as anything approaching a Conservative paean. To the contrary, Blake goes out of his way to deconstruct false and self-serving political narratives built around the historical figures he profiles - be they conservative, liberal, radical, or otherwise. This isn't a biography suited for someone new to British history. It's a bit dated, makes generous use of French expressions, and despite its generally excellent footnote citations, the amateur historian will spend a lot of time looking up names, movements, philosophies, places, wars, and legislation. But that research (i.e., skimming Wikipedia) will only enrich the experience. • "People who are ill-treated do not become any nicer for the experience. Oppressors are often more pleasant to meet than the oppressed." • "Conservatives are still wondering what they should conserve. Many in recent times must have felt that only a slight variation was needed in Mr. Taper's famous words, to fit their own situations - 'a sound Conservative government, I understand: Tory men and Whig measures.'" • "The British People being subject to fogs and possessing a powerful Middle Class require grave statesmen." • "Free trade is not a principle; it is an expedient." The seminal biography of Disraeli. I read it on publication in parallel with Moneypenny and Buckle as part of my first degree work on politics in the Age of Gladstone and I was most impressed then by Blake's scholarship and judgement of an exotic figure in British political life in the 19th century. I don't think it has been supplanted by any subsequent biographies which need to be read in conjunction with Blake's book. Robert Blake's biography of the brilliant Conservative prime minister (several times, in competition with Gladstone) has remained the best one (hefty) volume of that master politician. Before the U.S. had Reagan or FDR, the U.K. had Disraeli. One can learn a great deal about Victorian politics and also about writing from this marvelous book. I remember reading this in high school, and really enjoying it. Primarily a political biography. Sets out to answer the question "Was Disraeli just a chancer? ", but never comes to a firm conclusion. Robert Blake's Disraeli has been a wonderful reading experience for me. For the most part it is an extremely well-written biography. Blake wrote a compelling narrative, researched his topic exhaustively, rigorously cited his sources, and avoided excessive bias. The text is thoroughly footnoted -- something of a passe practice that I heartily wish would return. 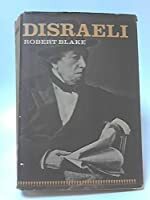 As a result of Blake's efforts I have learned so much about Victorian British history, world history, and obviously about Benjamin Disrae Robert Blake's Disraeli has been a wonderful reading experience for me. For the most part it is an extremely well-written biography. Blake wrote a compelling narrative, researched his topic exhaustively, rigorously cited his sources, and avoided excessive bias. The text is thoroughly footnoted -- something of a passe practice that I heartily wish would return. As a result of Blake's efforts I have learned so much about Victorian British history, world history, and obviously about Benjamin Disraeli himself. I also learned some new vocabulary words. Blake tells a good story. He is perhaps not as engaging in this aspect as some of my favorite biographers (e.g. Jean Edward Smith, William Manchester, and David McCullough), but he is by no means a hack in the story telling department. I was completely engaged throughout the entire volume. Part of that, of course, is the subject, but maybe that is an essential skill of a great biographer -- picking a really fascinating person about whom to write. Blake was a renowned historian and academic. This is reflected in his research. In fact, Disraeli is one of the most extensively researched, footnoted, and cited biographies I have ever read. As a reader, I knew deep in my bones that even if Blake's interpretations are inevitably flawed [as every human endeavor is to a greater or lesser degree(Disraeli definitely falls into the lesser degree category)], his work is based on superb sources and a vast knowledge base. One of my favorite things about Disraeli is Blake's effort to avoid personal bias and application of modern moral sensibilities to historical personages. I really get tired of historians writing didactic political and moral diatribes while calling their work relatively objective history (e.g Howard Zinn & Joseph Ellis). Blake really avoids this. As I was reading this volume, I guessed that Blake leaned slightly left in his politics, but it turns out -- according to that fount of all knowledge, Wikipedia -- Blake was a Conservative. I love it when one cannot guess a historian's political perspective from his or her political historical writing. Understanding Disraeli and his times has really increased my understanding of so many events in the world. I was particularly fascinated with the impact of the Eastern Question on the geopolitics that would ignite World War I a generation later. On a side note, Blake's vocabulary is awesome! I learned so many new words. On page 764 alone I encountered adumbrate, lapidary, and rhodomontade. Look them up -- great words. There are a couple of weaknesses. For one, Blake includes several quotes in languages other than English without footnoted translation. Apparently this is common in mid-Twentieth Century academic writing, but it was a real drawback for me -- time consuming to google translate extensive passages. It is worth it though, particularly in understanding the relationship between Disraeli and Bismark. The other weakness for me is the extensive analysis of Disraeli's novels as a way of understanding Disraeli as a private citizen and a politician. This is appropriate analysis, of course, but there was just too much of it for my taste. Cleverly and impartially written account of Benjamin Disraeli. A talented and complex man whose very human frailties endear him to the reader. The positive: I learned a lot about Disraeli and his times. The negative: I had to slog through this book! This is an exhaustive biography of Disraeli, and it is exhausting to read! Blake clearly loves Disraeli and everything that Disraeli wrote, and he quotes just about everything that Disraeli wrote at very great length. I found this book too long and repetitive, and the writing was often arcane. I also found the book difficult to appreciate at times since I do not have a good background in Br The positive: I learned a lot about Disraeli and his times. The negative: I had to slog through this book! This is an exhaustive biography of Disraeli, and it is exhausting to read! Blake clearly loves Disraeli and everything that Disraeli wrote, and he quotes just about everything that Disraeli wrote at very great length. I found this book too long and repetitive, and the writing was often arcane. I also found the book difficult to appreciate at times since I do not have a good background in British history. Sometimes Blake explained events, sometimes he did not, so I had to go to other sources. Extremely factual in an eminently readable fashion. The book gives a steady progress of the boy to manhood, and his intimate relationship with the Queen. A real window into a romantic, historical time. Robert Norman William Blake, Baron Blake was an English historian. He is best known for his 1966 biography of Benjamin Disraeli, 1st Earl of Beaconsfield, and for The Conservative Party from Peel to Churchill, which grew out of his 1968 Ford lectures. He was created a life peer as Baron Blake, of Braydeston in the County of Norfolk.